Landlords are presented with unique challenges when it comes to maintaining a rental property free of unwanted pests and we’re not talking about your tenants! Most of the time, pests are simply part of the natural landscape surrounding residential homes and sometimes pests may be introduced by the tenants inhabiting a rental property. While AmeriGuard Pest Defense opts to stay out of pest discussions between tenants and landlords, we do advise that the Department of Consumer Affairs considers a rental unit uninhabitable if it contains vermin (pests) or rodents. All we can do is help you to make the property as free from these pests as possible depending on whether these pests are part of the natural geography or caused by practices that can be corrected. As a landlord, providing pest control services for your tenants may be critical to ensure that your renters remain happy and free of unwanted pests. AmeriGuard Pest Defense has worked with satisfied landlords throughout the state and country to provide pest control services for their tenants. Let us work with you to contact your tenants, schedule a pest control service and take care of payments whether your rental is a single-family home OR multi-unit housing. 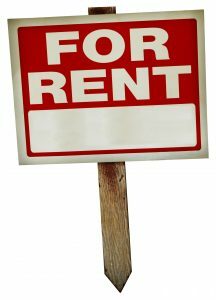 Do you own a single-family home in the Hemet or San Jacinto valley that you rent out to tenants? Common pest issues that single-family homes face include pests due to natural circumstances, which we consider “general” pests such as ants, spiders, earwigs, crickets, outdoor roaches, outdoor beetles and wasps. A general pest control service will focus on only these pests. For most residential properties, a one-time service will focus on the inside, outside and garage and comes with a 30-day guarantee. For long term control and year-round guarantee, we may recommend putting your property on a monthly or bi-monthly pest control maintenance program. Depending on the geographical location of your rental property, rodents may be naturally present in the landscape nearby the home. Fields, vacant lots and nearby wildlands are natural habitats for mice and rats and unfortunately, there isn’t anything that you can do about where they come from. But, we can help to educate your tenant(s) about some basic do’s and don’ts when it comes to preventing rodents from entering your rental property. And we can also help you identify any potential problem areas within the rental property that need to be addressed to prevent rodents from coming inside the structure or the attic and garages and causing damage to your investment. We can also perform the work to exclude rodents from entering. Let the experts perform a rodent baiting program for you. In some cases, a routine monthly rodent service is the only option to reduce rodents outside your rental property. Sometimes there are pests that show up at your rental property that weren’t there when you rented it out to your tenants. These types of pests include german cockroaches, ticks, fleas and bed bugs. Most of the time, the above pests are tenant-induced if they weren’t present when the property was turned over and if there hasn’t been a history of previous infestations. For example, a tenant’s dog can introduce a flea or tick problem, unsanitary living conditions can lead to an infestation of german cockroaches while tenants that relocate frequently or purchase used furniture can unknowingly create a bed bug problem. Educating tenants regarding the best practices for avoiding the above type of pest infestations goes a long way and working together can eliminate most of these problems from recurring. For moderate and severe infestations, follow-up services may be recommended. Multi-unit housing presents an even greater challenge when there are shared walls between rental units. If one tenant is complaining of a german cockroach or bedbug infestation, chances are the tenant living above, below or around will also be seeing the same pests. It is probably wise to revisit your lease agreement and include details about pest control. When the responsibility of pest control is covered in a lease agreement, there is less room for dispute and everyone will be protected by a legal contract. Tenants should also be advised to report a pest problem immediately. The quicker a pest infestation is identified, the easier it is to control.